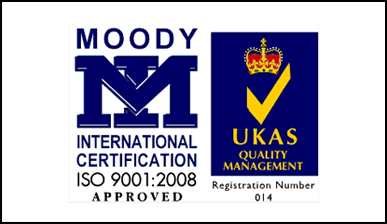 To achieve professional excellence in pharmaceutical sector, we are committed to meeting Quality Management Systems (QMS) requirements, consistent with internationally recognized management system standards. We shall maintain effectiveness and continual improvement of our QMS by monitoring organizational objectives, satisfying customers, and complying with legal and other applicable requirements. We motivate our personnel to enhance their competency and quality consciousness. We realize our responsibilities towards employees, environment & society. 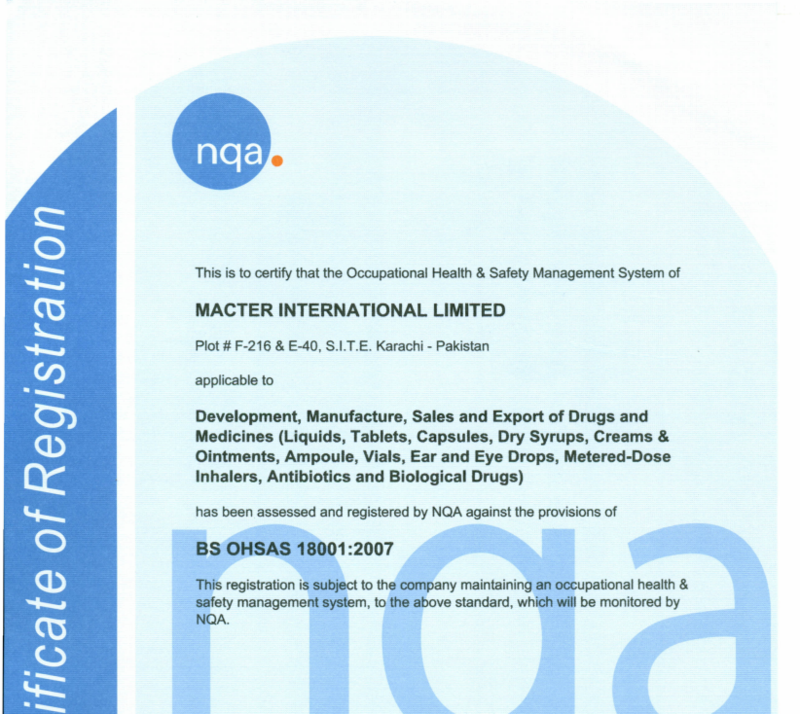 We are committed for a complete adherence to the legal & regulatory requirement of health, safety & environment. 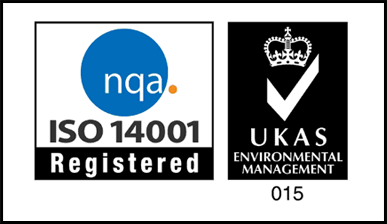 We concentrate on protection of people working for our company through our health, safety & environment procedures. With equal importance, we protect the environment by preventing the pollution, and helping the human, animal life & plants that it sustains, through our standard operating procedures. We believe that success in these areas inherently protects our assets, our revenue streams & our reputation, We will continually improve our HSE management system through training of our staff. 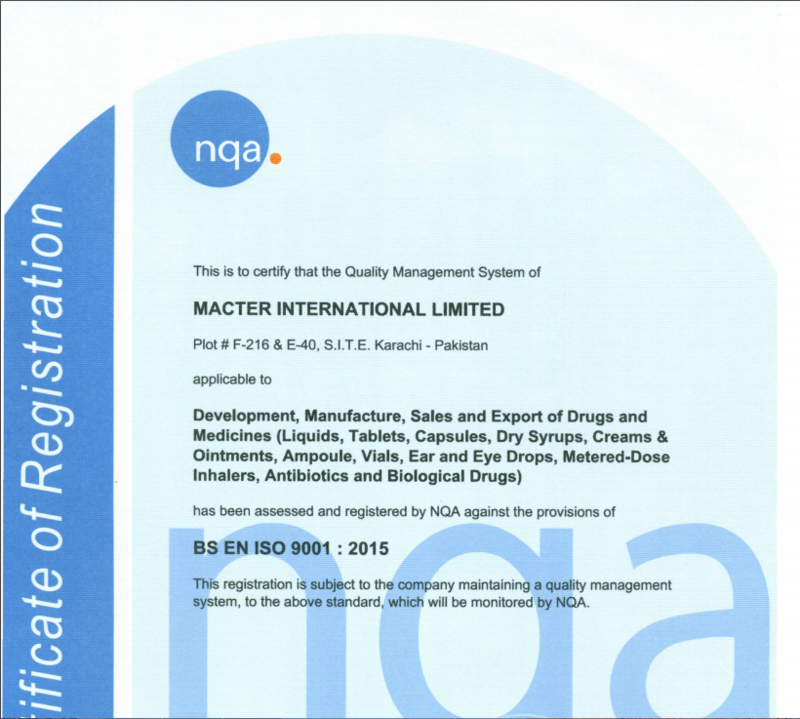 Quality Management System of Macter International. Environmental Management System of Macter.